​Jason Mankey is a Wiccan­-Witch, writer, and wanna­be rock and roller. He has been a part of the greater Pagan community for over twenty years and has spent nearly half that time teaching and speaking at Pagan conventions across the United States and Canada. 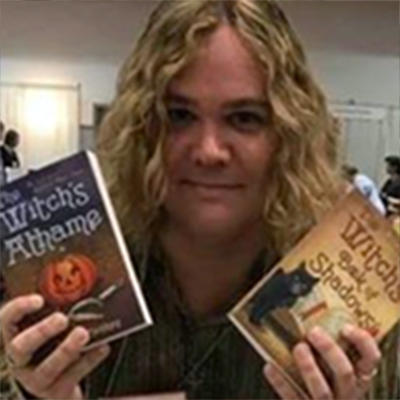 He is the author of "The Witch's Athame" and "The Witch's Book of Shadows" (both for Llewellyn), and the forthcoming "The Witch's Altar" (with Laura Tempest Zakroff) and "The Five Mysteries of Witchcraft." Jason is also the Channel Editor of Patheos Pagan, one of the largest blog Pagan sites on the internet.He lives in Sunnyvale California where he and his wife Ari help lead two local covens. Because they don’t want to be outnumbered, Ari and Jason only have two cats.